Two behemoths in the power sector are combining to provide microgrids for utilities as well as commercial and industrial entities. Swiss-based ABB and Germany-based Rolls-Royce Power Systems will join forces to build projects that combine distributed energy with battery storage. “This partnership is part of a recent trend where traditional generator companies are exploring new opportunities in the microgrid space,” says Peter Asmus, director of energy research for Navigant Research, in an interview. ABB is in the business of building power grids while Rolls-Royce makes high-speed engines and propulsion systems for ships, power generation, heavy land, rail and defense vehicles and for the oil and gas industry. The company markets diesel and gas systems for emergency, base-load and peak-load power requirements, as well as co-generation plants for combined heat and power. Join Peter Asmus at Microgrid 2019 for a special session: From Wildfires to Environmental Protection: How Microgrids Service Communities, May 15 in San Diego, CA. The energy space is changing and new players are entering the field. Microgrids, which provide the controls to coordinate power resources and to meet the demands of commercial, industrial and residential loads, are a prime example: Rather than viewing renewables and energy storage as threats, Rolls Royce — and others like Caterpillar, Cummins and Aggreko — are getting into microgrid arena, says Asmus. They are leveraging new smart generators for microgrids. To be clear, microgrids can either function as islands unto themselves — off the grid — or they can interconnect with utilities’ grids. 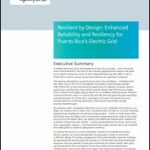 The selection of ABB as a partner is noteworthy because it has long been a force within the remote microgrid space, as reported in the recently published Navigant Research Leaderboard report on remote microgrid players. “For the most part, other generator companies have partnered with smaller companies offering energy storage, rather than companies more focused on advanced controls,” which are the microgrid’s intelligence software, Asmus says. Microgrid Knowledge previously profiled ABB and Rolls-Royce. In the case of ABB, it said that there is a need to electrify remote off-grid regions — ones that include mines, islands and villages. If such microgrids have battery storage, they are not just reliable but they can also facilitate the use of intermittent renewable energy. As for Rolls-Royce, it says that it has entered the microgrid space because the demand for green energy has spiked. If those microgrids are connected to the main grid, then during periods of high demand, system operators can call upon them to send power back to the utility in an expedited way. 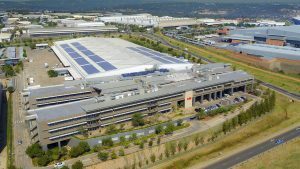 Track news about ABB, Rolls-Royce and other players in the microgrid industry. Subscribe to the free Microgrid Knowledge newsletter.